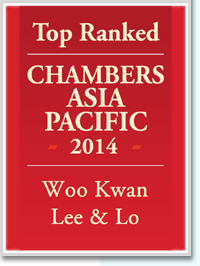 What the team is known for Established and well-regarded name in Hong Kong for its corporate/M&A strength. Maintains a market-leading reputation for its capability to advise on public takeovers, listing rules and securities offerings. Work highlights Advised the Hong Kong-listed Beiren Printing Machinery Holdings in relation to a substantial asset acquisition, disposal and connected corporate restructuring. Assisted Shenzhen Investment with the acquisition of a CNY4.15 billion interest in a mainland-based company. Head of the corporate and commercial department, Angelina Lee is a member of the Hong Kong Takeovers and Mergers Panel. She advises on securities transactions, corporate restructuring and company acquisitions. Carmelo Lee remains a very respected practitioner for M&A and capital markets transactions in Hong Kong. He offers strong expertise in working with the SFC and on Hong Kong listings. What the team is known for A well-established practice handling many of the most high-value real estate cases in Hong Kong. It has a particular reputation as a go-to firm for developers. Market standing: "An extremely capable firm with a good local reputation, especially in the real estate sector." Work highlights Acting for a major property developer in a judicial review of town planning in Hong Kong. Kenneth Wong recently represented eight of the largest real estate developers in Hong Kong, including the Cheung Kong and Nan Fung Groups, in landmark litigation concerning the assessment of government rents since 1997. He speaks Cantonese and Putonghua. What the team is known for Long-standing, local Hong Kong firm acting on developing, conveyancing and leasing for major developers in Hong Kong. Handles a high volume of pre-sale consent applications made by developers. Market standing: "They have a good, big-name client base." Expertise: "A very good conveyancing firm." Work highlights Acted for a developer on the sale of office premises in Kowloon Bay, worth over HKD1.5 billion. Acted on the sale of a billion-dollar shopping arcade for an investment fund. Managing partner William Kwan maintains his deep involvement with the firm's conveyancing and property development practice. He is one of the firm's founding partners. Ma Ho Fai is a veteran of the Hong Kong real estate space, with over 40 years of experience. He continues to lead the firm's most significant deals, including two billion-dollar sales in the last twelve months.